Attention Pro, College, Junior and Prep School Hockey Players! We've had several players reach out to request a morning off-ice training option to get a head start on our summer THT programs that will start in June! This spring, we will be offering a 4 day off-ice program from 9-10:30am designed specifically for high level hockey players that are just finishing their season and would like to build a solid foundation before this summer! Looking for something in the afternoon or evening? Check out our Flex Sports Performance training program to get a head start on the summer! Contact us with questions! See you soon! Real hockey players don’t wait for good things to happen, they earn it. The off-season is where the best of the best separate themselves from the rest of the pack. How will this summer impact your journey to the Next Level? 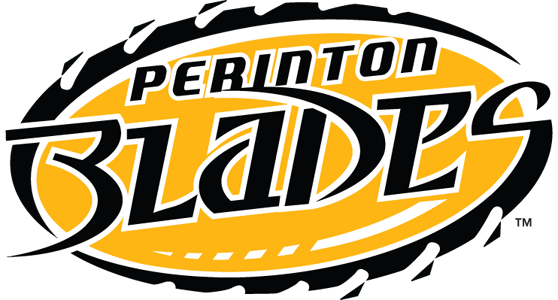 We just completed our 7th summer offering NHL caliber off-ice/ on-ice combo training to Rochester’s elite hockey players! It was awesome to team up with Francois Methot again this year to offer the area’s most comprehensive off-season hockey specific training program! Best of luck to all of our hockey players this season! We will see you again next summer! 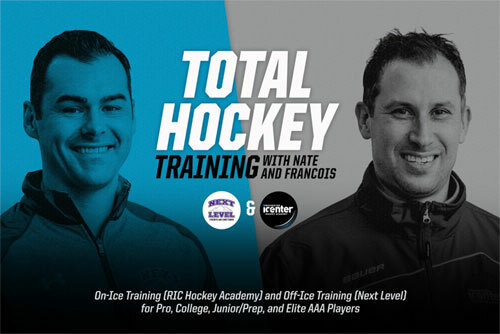 Stay Tuned for 2019 Total Hockey Training info! This exclusive off-season training group will be reserved for current Professional, College and Major Junior hockey players only. Our team of certified Strength Coaches will design an individualized off-season training program for each player based on functional needs, specific goals and other considerations, in order to decrease the risk of injury and maximize on-ice performance. Consistent training times and group members will create a highly competitive and motivating team-like environment! Each off-ice session will include soft tissue quality, mobility, comprehensive movement prep, power, speed/ agility, strength and conditioning, within an intense small group setting. We will limit this group to 12 players, with at least 2 Strength Coaches on hand at all times to maintain an optimal coach to athlete ratio. Francois Methot will use the latest in on-ice development methods from Power Edge Pro to focus on individual skills in a small group setting. Francois has helped countless Pro, College and elite level prospects reach the Next Level since retiring from professional hockey several years ago! This exclusive off-season training group will be reserved for current Junior/ Prep School and Female College hockey players only. Our team of certified Strength Coaches will design an individualized off-season training program for each player based on functional needs, specific goals and other considerations, in order to decrease the risk of injury and maximize on-ice performance. Consistent training times and group members will create a highly competitive and motivating team-like environment! This exclusive off-season training group will be reserved for current AAA hockey players that are 2004 birth year and older. Our team of certified Strength Coaches will design an individualized off-season training program for each player based on functional needs, specific goals and other considerations, in order to decrease the risk of injury and maximize on-ice performance. Consistent training times and group members will create a highly competitive and motivating team-like environment! Each off-ice session will include soft tissue quality, mobility, comprehensive movement prep, power, speed/ agility, strength and conditioning, within an intense small group setting. We will limit this group to 15 players, with at least 2 Strength Coaches on hand at all times to maintain an optimal coach to athlete ratio.